Oglaend System Korea delivered a wide range of our product series to the Martin Linge project; Mekano® support system, OE cable ladders, SPBE/SPB-RF cable trays, pipe clamps, INKO® tubing clamps and more. Our customer, Samsung Heavy Industries (SHI), also used our pre-assembly service for this project. As this is the common construction practice in Korean yards. 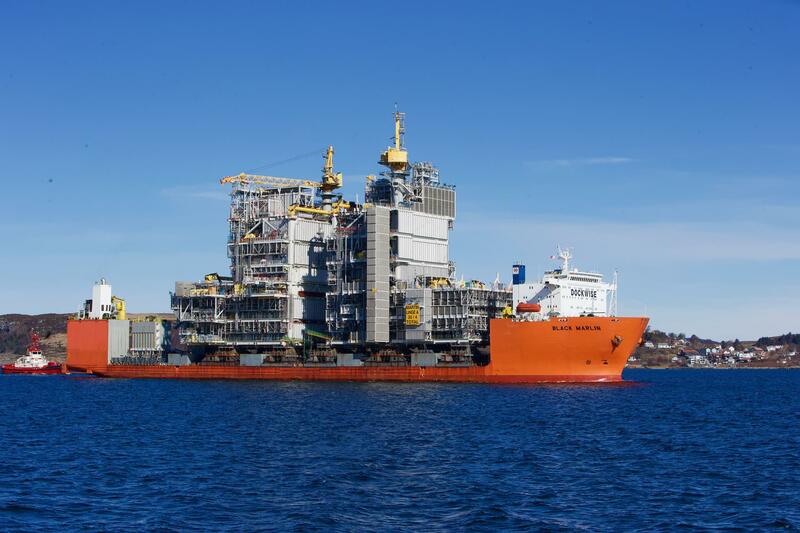 All Martin Linge modules were sailed off to the North Sea at the end of July. The modules will be lifted in place and connected offshore. The platform consists of four modules – utility, process, living quarters and flare. The Martin Linge field is located about 42 kilometres west of Oseberg in the North Sea. It is expected to produce 300 million barrels of oil equivalents. Production is estimated to start in 2019, however the start up date has not yet been confirmed.